Threads like wool, linen, and tweed typically frequent the vision winter conjures up. Comprising a picture of decadent overabundance, with materials providing warmth, stability, and beckoning us to utilise resources in new and inventive ways. Pieces that are gifted by those willing to return to the crafts that were once common place, aiding us in recuperation and helping us find that little bit of comfort in the colder, more muted months. The beauty of woven craftsmanship and hand made pieces are what draw us back to the traditional. They are functional and practical, yet highly artistic. Here to remind us of an innate creativity our people once knew so well before factory fashion. Carpets get trod on, walked all over, and rarely receive contemplative admiration for their intricacies. Such as the time and consideration that went into their making, and every little woven inch of beautiful craftsmanship. Bespoke carpet supplier Alex McLeod sees it though. In fact, people walk all over her works of art every day, but that’s ok, that’s what she wants. Just as weaver Justine Ashbee doesn’t simply see wool as a material to wear or snuggle under. She sees it all worthy of wall placement. As tactile art, and textured stories. What initially drew you to the medium of weaving, and using traditional materials such as yarn? Colour. Both of my parents worked in the fashion and textiles industry as I was growing up in Los Angeles in the 80s, and my mother would give me her old Interiors magazines to play with. I particularly remember ripping out pages of Architectural Digest and creating folders of different dream interiors. In a way I think I still do that, tearing out pages of magazines, xeroxing books and creating themes and visions.. When I was about 16yrs old I was beginning to think about what my studies could be, I saw an article in a French Marie-Claire magazine that photographed two women who were textile artists in their studio. The images encompassed and embodied all of the things I found fascinating and interesting at the time, and still now the image is so clear in my mind. Was it quite an isolated, niche market back when you began? 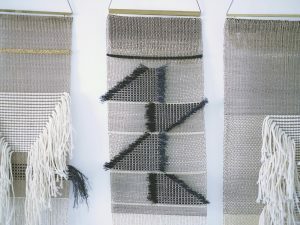 In terms of the actual weaving – woven wall hangings, and woven metal specifically – Yes. There wasn’t anything like it in the market. I was so excited as I knew then that I was creating something new that people hadn’t really seen before. And the response to my early works were also of much excitement and awe. I think people were also excited by the look and feel of the pieces. When you create, what kinds of messages, ideas, or principles do you want to convey to those receiving your art? You create works that serve to be functional as well being collectable treasures – what are your thoughts on ‘conscious consumption’ and favouring essentialism when it comes to purchasing things for the home? Much in the same way I am with relationships in my life I favor quality over quantity. I am one of those people that gives a practical gift. It is utilitarian? It is useful? Does it bring joy? Is it well designed? Often the most simple things are the most brilliant. Are there any rituals, experiences, or environments that you find stimulate your own distinct style and approach to your practice most? Yes there is one idiosyncratic method that comes to mind when I am working that has spilled out into my life as a practice of non-attachment. When I am working I engage in a binary system of yes / no questions and answers to which I adhere quite strictly. It allows me to not get tangled in the what if. I embrace the process without thinking too much about the outcome. I think it came from an examination of nature – that everything in nature is perfect in its form as intended. My hands do the work. I have to create through my hands. They do the thinking for me. I do not rely heavily on my mind for creative decisions, I rely more on instinct, feelings, inclinations, and trust that my hands know what they are doing. 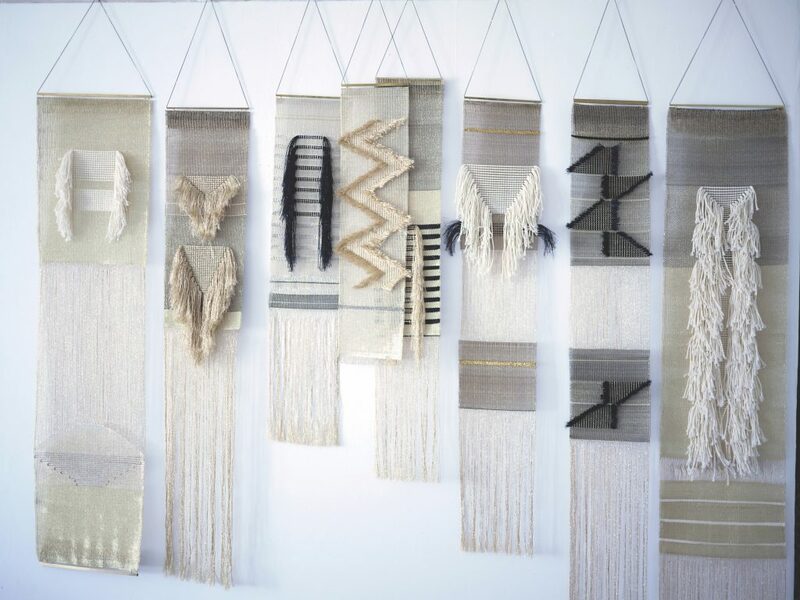 What has weaving taught you about valuing quality over quantity and the beauty of slow craft? For me it is about materiality. The quality of a material, its texture, how it lives over time, how it settles into a form it likes. These are the things I pay attention to. What are your thoughts on ‘conscious consumption’ and favouring essentialism when it comes to the home? I have always been a big believer in conscious consumption and buying or specifying quality over quantity. This stems from my experience in working at both Wallpaper Magazine in the UK and Matisse in NZ where I lived and breathed products that combine beauty with function and considered design. The relevance of living with these products is that they make our lives essentially easier and more enjoyable for longer! Although your work caters to specific client briefs, when you think of your style of design as a whole, what ideas or principles do you want to convey to those receiving your work? I like the idea of taking an inventive approach to the use of each space with materials and custom detailing and sewing this together with the needs of our clients – highlighting the brilliance of a minimal or essential approach to design unravels all the unnecessary objects and / or elements in a space and make way for the beauty of the ’space itself’. 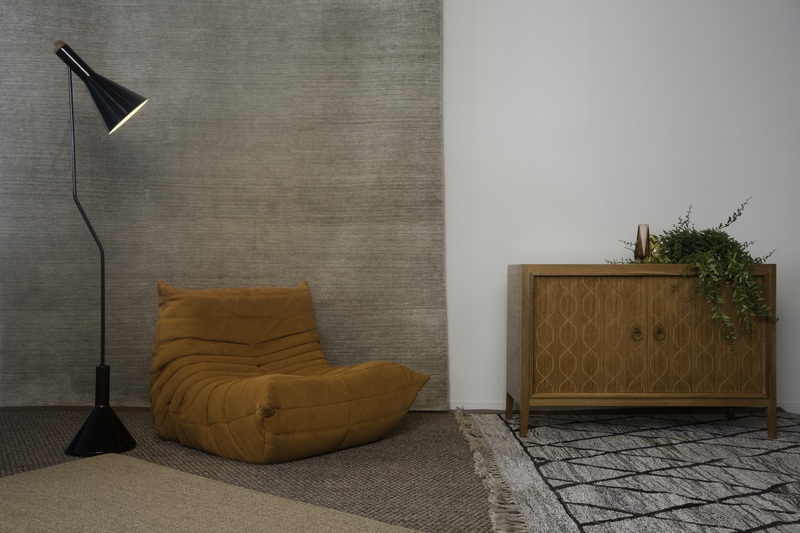 The way we keep our living environment and interior spaces can largely influence our emotional and mental state – as a creative, do you believe there is truth in this? Absolutely – I am a little obsessed with the whole need to reduce the unnecessary from our life – much to my kids dismay sometimes. As a family of five with several business to run we are busy enough and it does get hard to enjoy life if you are constantly trying to entertain the latest style or trend. Again, good design at the end of the day is a comfortable chair or rug in a cosy spot. What has working with wool and traditional materials taught you about the beauty of slow craft and respecting nature? I personally love living with things that have a story to tell, a textural nature or handmade quality: timbers, stones, ceramics and greenery definitely sneak into the ethos of both of our companies because they are materials and textures we love to live with. 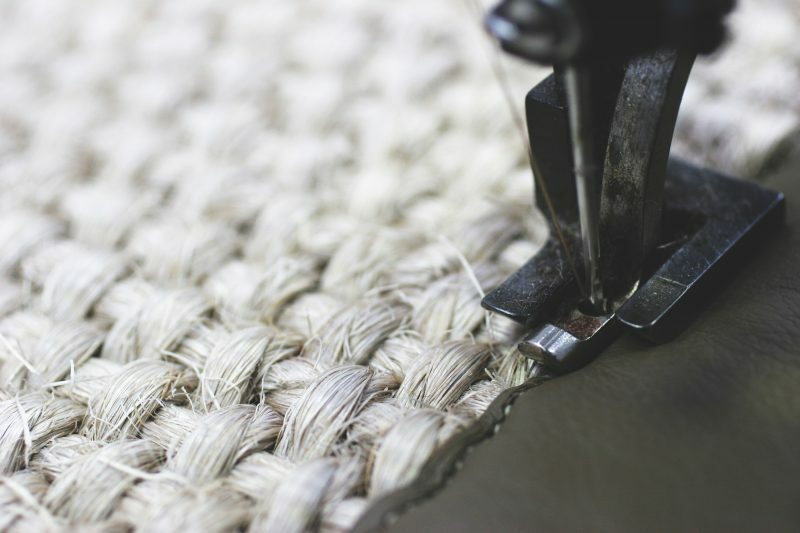 Artisan represent suppliers that have been lovingly crafting rugs with the Goodweave certification which demands transparency over supply chain and production free from child labour exploitation. We have also worked in partnership with PAMU – ‘Farms of NZ’ who do amazing work in NZ and for our export market. Raising our customers awareness of buying NZ made sustainable products and materials (ie: wool from free range, grass fed animals raised with integrity) is central to us running a company with many of these values. What does the business model of bespoke service mean to you and why do you think it’s worthwhile embracing more? It’s a personal approach – it’s not saying ‘I’ve found a template for my design approach and I’m going to use it across all my projects’ – Instead it’s being brave enough to start from scratch with each client and challenge yourself to look at each project with new eyes – to build something bespoke for each client is a bit of a privilege actually and it’s what makes both our businesses enjoyable and intriguing.